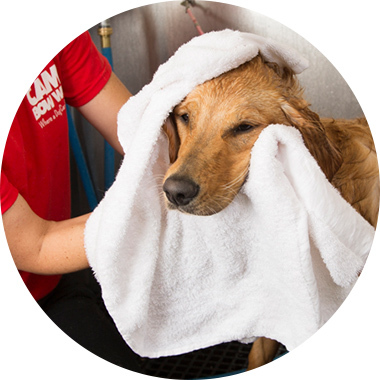 Contact us at (480) 681-0555 to learn more about our dog grooming services. Wash and dry for breeds over 80 lbs. Wash, dry, brush teeth and clean ears. Wash, dry, brush teeth and clean ears for breeds over 80lbs. Doggy Deluxe Bath, nail trim, blueberry facial and furminator brush. Doggy Deluxe Bath, nail trim, blueberry facial and furminator brush for breeds over 80 lbs.